The Tecsun PL600 World Band Radio provides reception of the shortwave, medium wave, long wave, and FM broadcast bands. The Tecsun PL600 World Band Radio’s PLL synthesised design ensures excellent frequency stability, and direct frequency entry via the keypad, to make frequency selection very easy. Available in black. The Tecsun PL600 World Band Radio is the perfect entry product to the world of shortwave listening. The PL-600 provides reception of the shortwave, medium wave, long wave, and FM broadcast bands at a very economical price. The Tecsun PL600 World Band Radio’s PLL synthesised design ensures excellent frequency stability, and direct frequency entry via the keypad, to make frequency selection very easy. The Tecsun PL600 World Band Radio has excellent sensitivity, selectable IF bandwidth and tone control providing fantastic audio quality under all conditions. The SSB capability of the Tecsun PL600 World Band Radio allows the reception of HF aircraft, marine, Amateur Radio, 4WD clubs, and outback communications. The receiver can facilitate connection to an external antenna and is also equipped with an attenuator to eliminate front-end overload from strong local stations. For best results on shortwave, please consider our Q3070 external shortwave and MW antenna. The Tecsun PL600 World Band Radio is supplied with NiMH rechargeable batteries, approved battery charger, protective carry case, earphone and 6m long wire antenna. Available in black only. 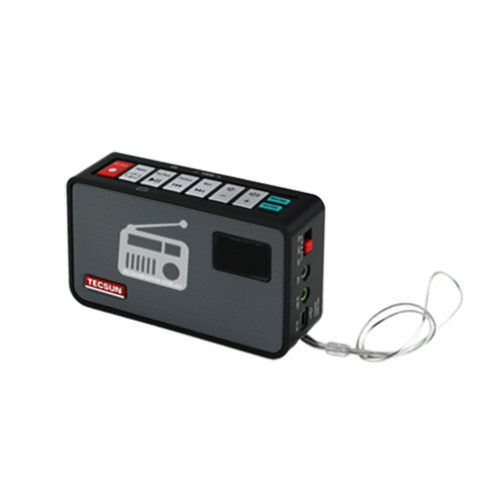 This radio is designed to be operated from batteries, not directly from the charger supplied. Even though the charger voltage is regulated, the internal switching circuitry generates RF noise which can interfere with reception, especially on AM and Shortwave bands. Available in black. Tecsun PL600 World Band Radio is a popular radio with the sailing and yachting community as the Tecsun PL600 World Band Radio’s high performance tuner allows sailors to receive weather fax information via shortwave reception. I like everything about the PL 600 except it does not have an AM selector. It has no AM. Really bad idea. Hi Jerry, thanks for your comments. The Pl600 defaults to AM whenever the MW or SW bands are selected. To select the SSB mode on these bands you need to press the SSB button and then use the BFO to tune for the best intelligibility. Pressing the SSB button again takes you back to the AM mode.